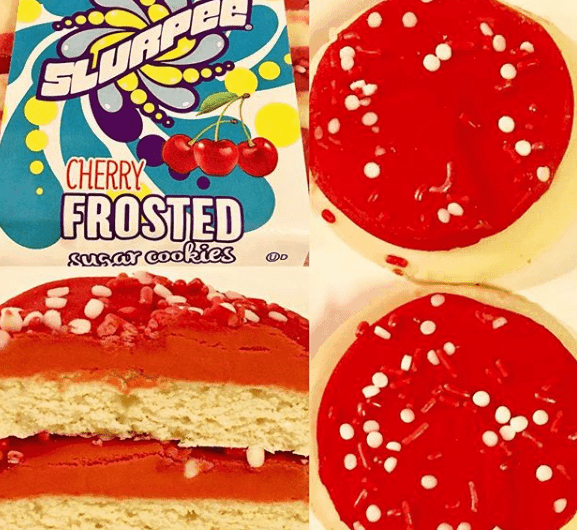 Instagram user JunkFoodMom recently posted a food item we would have never imagined existing: Slurpee-flavored cookies. 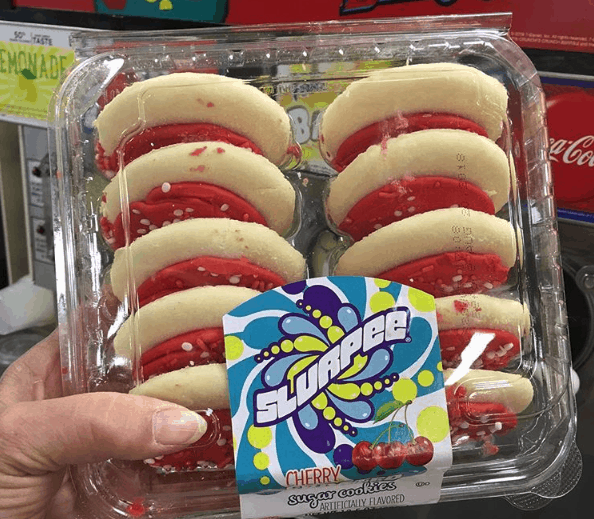 Slurpee-flavored cookies?! That’s right, folks. Summer heat will not last forever and soon Slurpee sales are expected to go down with the waning heat. It seems 7-Eleven is trying to mitigate their revenue loss by introducing their bestselling beverage in baked form. As we all know, Slurpees can be bought from a modest 8-ounce cup size all the way to a gigantic 44-ounce cup. As you can see in the photograph, these cookies come in packages of 10, which probably have fewer calories than those massive 44-ounce cups. But what does it taste like? JunkFoodMom said, “If you’re a Slurpee fan, you need these!” Although she expected them to be sickly sweet, according to her, the cookie is perfectly balanced like similar sugar cookies she’s tried. Furthermore, 7-Eleven also reportedly got their recipe right, as they taste not just like cherry, but exactly like a cherry Slurpee. So far, we only know of cherry flavored cookies. As for the other flavors, such as Dr. Pepper or even Capt. Crunch’s Crunch Berries, we may just get a chance to see them in cookie form. All we have to do is to go out to 7-Elevens nearby and ask. If enough of us demand new flavors, corporate will have to cave in and greenlight additional flavors. After all, all who wouldn’t want a blue raspberry Slurpee flavored cookie? Can it already be found at a 7-Eleven near you? Possibly. User JunkFoodMom’s post was tagged at a 7-Eleven location in Detroit, so we can’t say for sure how widespread they are yet, only that they do exist in at least one city. According to 7-Eleven, the cookies are available for a limited time and in limited locations, so don’t waste any time!